BOUNDLESS UPDATED KNOWLEDGE OFFLINE by Joaquin Benares ’15. Boundless Updated Knowledge Offline (BUKO) aims to bring video lectures, e-textbooks, and other online education tools to Philippine public schools to supplement their (sometimes non-existent) libraries, teaching aids and contact time with teachers. “Buko” is also the Filipino word for coconut – a resource rich natural wonder. BUKO uses an electronic bookshelf [Raspberry Pi powered server] that contains 200,000 e-books, 1,000 video lectures and 200 e-textbooks, among others. All content is sourced from free online resources, but made accessible offline, over WiFi, through the server and Android tablets. In 2013, with the support of the Department of Education, Benares successfully deployed BUKO into two high schools in Metro Manila. Funding from the Seed Grant will help him implement BUKO systems, with technology advances, in four additional schools. “We hope that BUKO helps to alleviate pressure on the teacher, fill a gap where books and learning materials are lacking and lead to an increased standard of public education,” Benares said. JOOMAH by Kwaku Akoi ’14, Will Durney ’14, Oladoyin Oladapo ’14, Olayinka Lawal ’15, Rebecca Njeri ’16, Geofrey Yatich ’16 and Michael Yee ’14. According to the JooMah team, unemployment rates across Sub-Sahara Africa vary from 7.5 to about 95 percent. About 200 million Africans are seeking jobs, but the resources available to help in job hunts are hard-to-navigate impersonal databases. 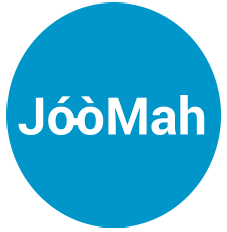 JooMah is a web and Short Message Service platform that will connect job seekers in Sub-Saharan Africa with targeted employment opportunities nearest them. 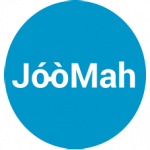 JooMah uses a powerful algorithm to match users with jobs and is free for users. Employers may purchase a paid model which allows for more advanced features and content. View the JooMah website online here. JooMah organizers will use the seed grant and other funds to fund operational costs and employee salaries through June 2015. The students are looking to raise $320,000 total. In addition to being selected by the judges as one of the three seed grant recipients, JooMah also won the Audience Choice Award for most votes received in an online poll conducted during the finalist pitches on Feb. 28. WISHING WELL by Tavo True-Alcalá and Brent Packer ’15. The Wishing Well project will help universities design portable water stations for use at large campus events. The Wishing Well station provides chilled, filtered water anywhere there is a hose connection. The Wishing Well stations are designed to last 10 years. 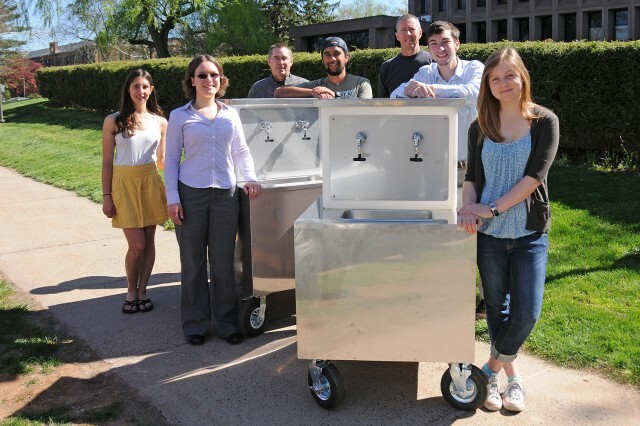 True-Alcalá, Packer, Madeleine O’Brien ’16 and Nina Gerona ’15 designed their first Wishing Well in spring 2013 as part of a competition sponsored by Wesleyan’s Sustainability Office. The students’ prototype has already provided water for five events at Wesleyan, providing more than 350 gallons of water, which replaced about 2,701 16.9oz disposable bottles. Wishing Well organizers will use the seed grant to grow the project into a self-sustaining operation. After the first step of modifying the design from the prototypes to one that is better suited to replication, approximately $3,000 will be used to purchase materials and construct a new water station that will be used to demonstrate the product to interested institutions, and it could be also be rented out if organizations wished to test the system before purchasing one for themselves. The remaining money would be used on marketing and promoting the Wishing Well, covering expenses for printing fliers, visits to other schools, and travel costs and registration fees for sustainability conferences. All of the Seed Grant applicants follow in a long line of successful Wesleyan-connected social ventures — from SHOFCO to RefugePoint, Sustainable South Bronx to Musician Corps and more. Like past PCSE grant winners, all three ventures will report on their progress here during the coming months. For questions about the Seed Grant Competition or other Patricelli Center programs, contact PCSE Director Makaela Kingsley ’98 or visit the Engage blog.